Well hello there! I firstly want to apologise for the lack of posts last week. I came down with a horrendous cold on Tuesday and wasn't well enough to put up my posts. 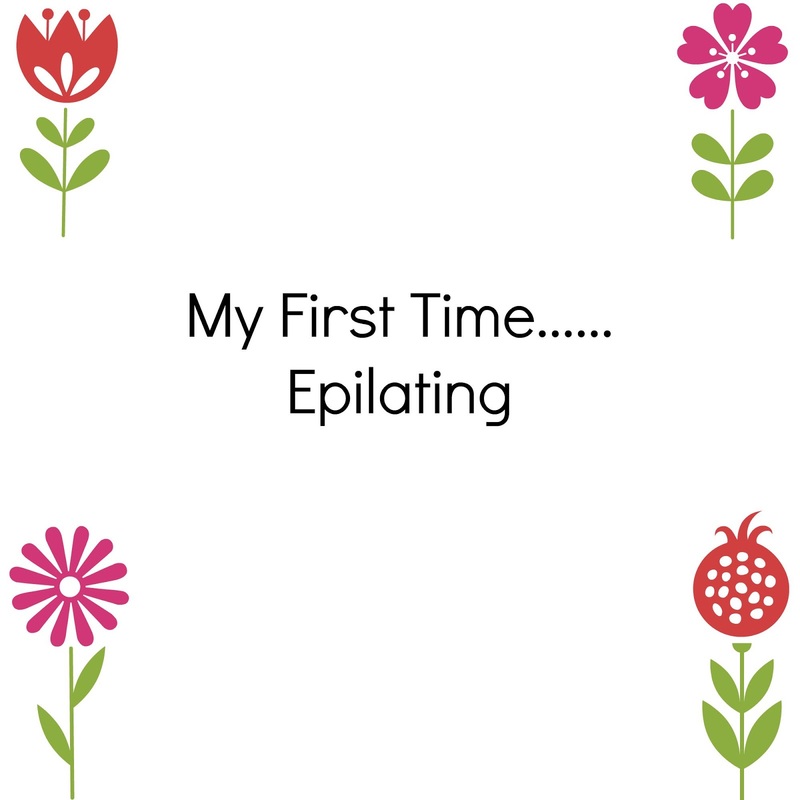 Anyway, today I thought I'd write about my first time…..epilating! I've been seeing a lot of blog posts and videos on the subject of hair removal, so I thought I'd throw mine into the mix. I've tried most methods of hair removal. Shaving, waxing, creams everything apart from laser hair removal. I'd heard about epilating but the thought of essentially plucking each hair out of my legs terrified me. It wasn't until I read this post from Lily Pebbles that I thought maybe it was worth trying. There are lots of epilators on the market at various price points but I personally didn't want to spend more than £30 at first, just in case I hated the experience. I chose the Braun Silk Epil 3270 which I will be reviewing in the coming weeks. Once I figured out which one I wanted, it was time to begin epilating. It does hurt. Removing hair from the root always hurts, especially if you're doing it for the first time. But, it wasn't as painful as I anticipated. Some areas of the legs hurt more than others. I find the fronts of the legs and around the ankles really painful! I think the key is preparation. I always exfoliate the skin prior to epilation and I prefer to epilate after showering because the hairs come out easier. There are epilators you can use wet and dry but mine is dry only. I do like the idea of getting one that I can use in the shower because I think it would make the process less painful. Always moisturise the skin after you epilate to avoid ingrown hairs. I've had a few but no more than with shaving and so far, they haven't caused any discomfort. I found it helpful to shave a few days before my first session so the hair wasn't too long, to minimise pain. It took quite a while to do both legs at first but now I've done it several times, it takes about ten minutes for each leg. I love that if I see a hair, I can whip out the epilator and remove it. I've previously tried waxing and loved the results but it wasn't very convenient. You have to wait for the hair to grow back quite a bit to be waxed. Shaving was convenient but my skin would get so itchy as the hair grew back. Epilating gives the convenience of shaving with the results of waxing. Just a note, if it's your first time removing hair from the root, don't expect your skin to be smooth after one session. Hair grows back in different cycles so it takes a few sessions to catch them all in the same cycle. The hair does grow back a lot softer after each session and weakens over time. I highly recommend giving epilating a go. It's definitely my preferred method of hair removal and I think I'll be making the investment to a better epilator soon. It's definitely not as scary as it sounds and I wish I'd started doing it ages ago! What are your thoughts on epilating?